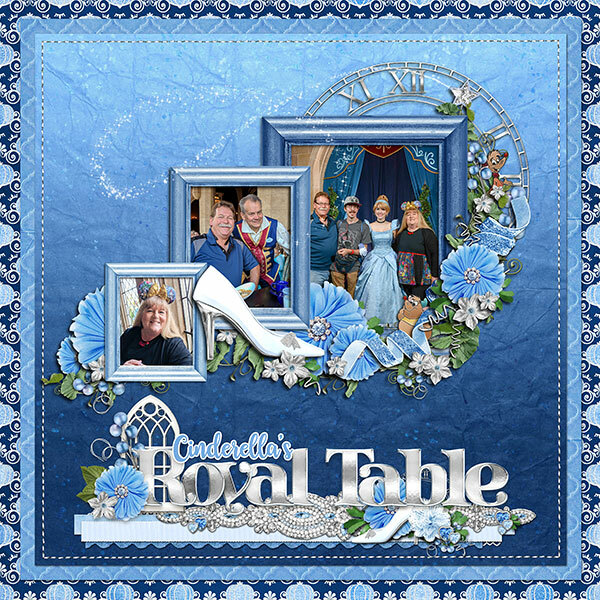 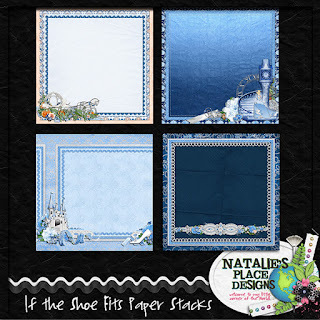 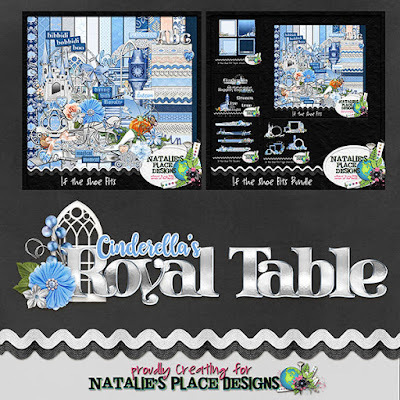 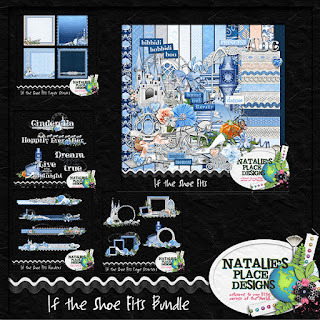 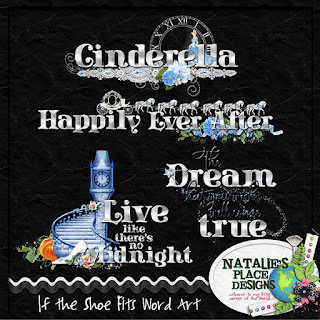 Natalie's Place Designs has a stunning new Cinderella inspired kit - If the Shoe Fits! 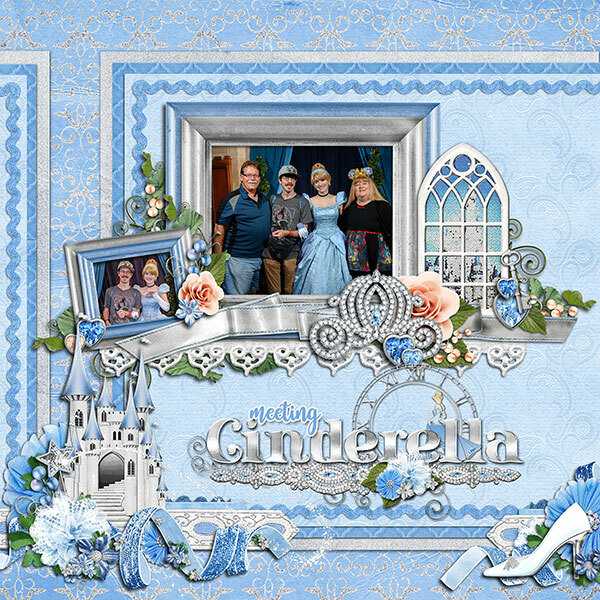 It's breathtaking and perfect for those princess layouts. This kit includes 14 papers, 6 flowers, 5 frames, a clock face, 3 spiral picks, 2 berry picks, a pumpkin, a pumpkin vine, 2 leaves, 9 ribbons, 2 rickracks, 2 trims, stitching, 2 stained glass windows, 2 bows, 4 hearts, a border, a circle element, 2 carriages, a castle, a clock tower, a horse, a wand, 2 sparkle trails, 2 mice, a key, a flourish, a glass slipper, a rhinestone applique, 11 word tags and a full alpha. 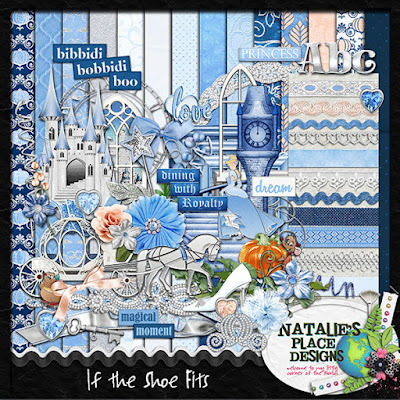 Have a great scrapping weekend!